The Liberty Bell is the icon of Philadelphia. There are others; Ben Franklin, Cheesesteaks, Rocky, etc. However, it is without a doubt that the quintessential symbol of Philadelphia is the Liberty Bell. The Liberty Bell was the bell for the Pennsylvania State House (later renamed Independence Hall) during colonial times, and was rung at the Declaration of Independence. It became a national icon, and appears on stamps and all sorts of memorabilia. It was moved from Independence Hall, where it had been for years, to its own separate building in 2003. 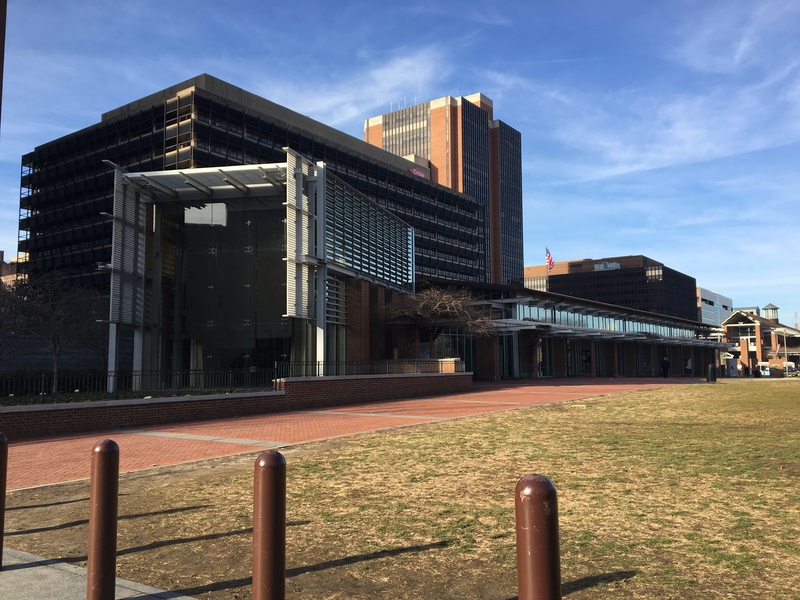 Located across the street from Independence Hall, it’s a modern edifice that resembles the neighboring Independence Visitor Center. Even though it has moved, the Bell remains unchanged. The famous crack is prominently visible, as well as the inscriptions around it. The attempt to stop the crack with rivets is also visible, another famous piece of the Bell. There is much more to the Center than just the bell. Multimedia displays leading toward the Bell show items from history, and the struggle of for liberty that many, both domestic and foreign, have had to endure. The role of the symbolism of the Liberty Bell played to a variety of people who fought for freedom, including Nelson Mandela and the Dalai Lama, is documented here. There are images of the aforementioned people in front of the Liberty Bell, which serves as an efficient reminder that millions of people around the world are living without many of the rights that people in some countries take for granted. The Bell was also an important symbol during the Civil Rights and Women’s Rights movements in the United States, which are adequately represented in the displays. The voices of many famous Americans, including Martin Luther King, Jr, and Franklin Roosevelt are heard in the background, mixed with John Philip Sousa’s Stars and Stripes Forever. It gives a very patriotic vibe, and inspires the love of liberty that so many have, do, and will hold so close to their hearts. And then you get to the Bell. The Liberty Bell you behold upon seeing means so much to so many people, both in Philadelphia and around the world. 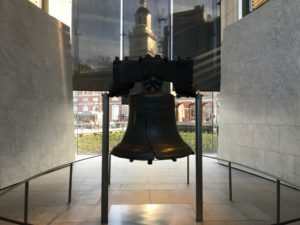 The Bell is glamorously displayed in a large room occupying the southern end of the center, where it overlooks Independence Hall. It is roped off to prevent people from getting too close, but yet it doesn’t lessen the effect. The bell that is one of the primary symbols of America stands in front of you. It is a cultural icon of the United States, being seen on stamps, logos, and has been replicated numerous times. In Philadelphia, images of the Bell are seen on street signs in all sections of the city, on all sorts of travel pamphlets, souvenirs, and also hangs over Citizens Bank Park, ringing with each Phillies home run. It’s the Liberty Bell. It’s a very simple relic, yet one of the world’s most revered. Just a word of advice, you can’t order tickets for the Liberty Bell Center in advance, so it is pivotal that you arrive before it opens at 9:00. If you arrive in the afternoon, you will suffer in line for hours on end. If you go in the summer, expect huge crowds whenever you go. Proclaim liberty throughout all the land, unto all the inhabitants thereof.